After the loss of a loved one, after the funerals, services, and memorials, after family and friends have gone home, the one suffering the most – the wife, the husband, the mother, the father – is alone in a world that has turned upside down. The death of a loved one is disorienting. It leaves you in a space no one else occupies. It is new, frightening territory, and above all, it is desolate. No one is there but you. That is why I have decided to form something called The Messenger Groups. 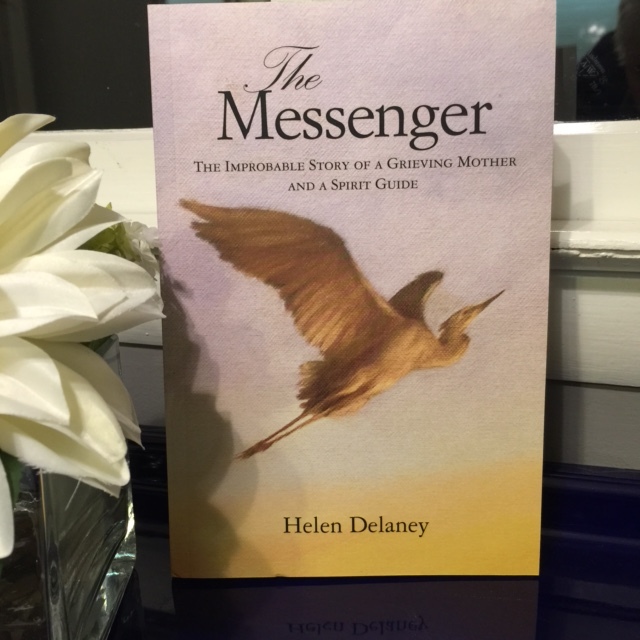 The Messenger is the title of my book, in which I have told the story of my grief and how I was led onto a path of hope. It is how I discovered a reason to live, and live a life that is full, and most importantly…normal. My son died thirty-five years ago. My husband died six years ago. I am well acquainted with the particular kind of isolation grief brings with it. I remember riding the metro in Washington, D.C., shortly after my son died. I watched people reading their newspapers, or chatting about nothing in particular, people daydreaming, people just going to work. As if my son hadn’t died. They don’t know Eddie died, I thought to myself. They don’t know about that hole in the ground. I lived alone with that one devastating fact, that one circumstance that separated me from them, that separated me from everybody. I was different. I was alone. I was separate. There was nobody who understood what had happened to me, what happened to my son. There was nobody with whom I could talk, and there were no words that could make anybody understand what it was like to lose a child. Later, I would see old couples holding hands, couples who had lived a long lifetime together, couples helping each other cross a street, couples who were obviously still in love after many decades, and I knew that I would never have that with my husband. I understand that pain, and it has come to me that, as my book has helped more than one person to see death and grief differently, there is something more that is calling out to me, and that something is The Messenger Groups. I am proposing to form small groups of grieving mothers, fathers, daughters, sons, wives, husbands – anybody in grief – in which they and I will talk to each other, keep each other company in the awful days after the loss, whether those days are near in time or farther away in time. Grief takes its own time, after all. I envision us sharing what only we can share. Together. I see us, regardless of geography or time – for I know people in several countries that have experienced these losses – talking to each other via Skype, perhaps once a week, perhaps once a month. We will have no agenda, no purpose other than that of being together, keeping each other company, giving each other hope, one hour at a time. I see us in small groups, perhaps of four or five, so that we might all have time to talk. And now, I am asking for your help. If you, or if you know of someone who would be interested in joining me and others like me, please share this blog with them, tell them about my book if you have read it, or invite them to visit my website if they’d like to know more about me at www.themessenger.space. Please write me or ask your friend to write me in the contact form below with their email address and I will get in touch with them. Thank you, dear friends. Help me to find those that are alone in their sorrow, and tell them that they are not alone.